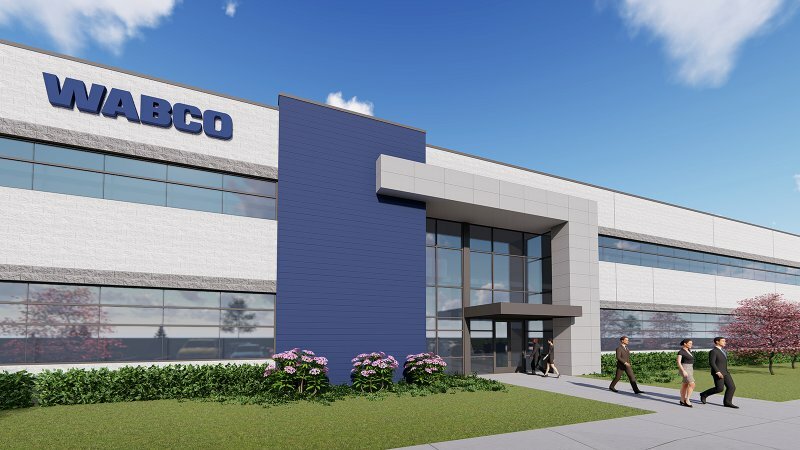 WABCO Holdings Inc., a supplier of various trucking industry technologies, said it will open a new American headquarters in Auburn Hills, Mich.
Now under construction, the 102,000-square-foot facility is expected to open in third-quarter, according to company officials. The investment “demonstrates WABCO’s increased commitment to serve commercial vehicle manufacturers, fleet operators and aftermarket customers in North America,’’ said Jon Morrison, WABCO president for the Americas. WABCO has significantly expanded its presence in the region since its launch in 2007. Over the past two years alone, WABCO has tripled its workforce as it acquired four high-tech manufacturing businesses: MICO Inc., Laydon Composites Ltd., R.H. Sheppard Co. Inc. and the buyout of Meritor WABCO Vehicle Control Systems, the 50-50 joint venture with Meritor. WABCO’s Americas headquarters will house about 200 employees when it opens, including employees who are currently located at separate sites in Rochester Hills and Troy, Mich. The company plans to increase employment prior to the opening and is forecasting to add as many as 90 professional jobs at the site during the next three years. In addition to office space on two floors, the facility at 1220 Pacific Drive will feature a customer experience center, a vehicle test lab, training center, and other amenities, according to the company. For the first time in the company’s history, WABCO has localized the production of its most advanced air disc brakes for commercial vehicles in the United States. Morrison said WABCO invested $20 million in the new facility to meet increasing customer demand for its air disc brakes, air compressors and related safety systems. In moving from its Charleston, S.C., location to this new facility, the company expanded its manufacturing footprint by more than 60 percent and increased on-site employment to about 230 workers, the company said. WABCO’s workforce in the Americas includes more than 1,800 team members at 11 locations, including 10 in North America. The company develops and manufactures wheel-end solutions and advanced driver assistance systems (ADAS) such as collision mitigation, electronic stability and active steering control systems.